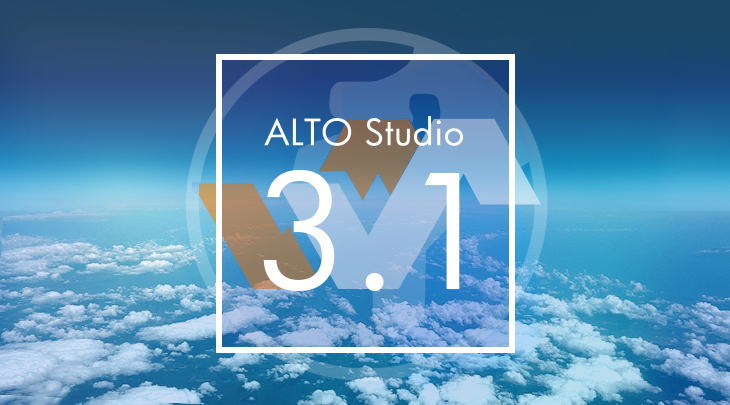 With version 3.1, Alto Studio is now more powerful and versatile than ever. Character names and script lines can be imported from Excel sheets. All main analysis and correction features, as well as all the tools, can process the files based on what character said a line. If present, script lines are also displayed under the waveforms. 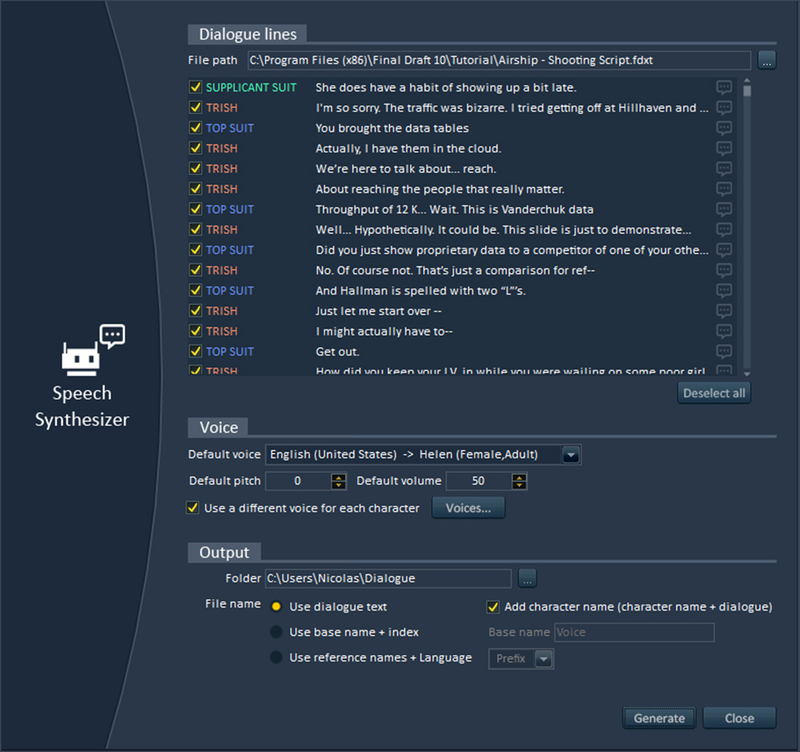 Additionally, it is possible to import scripts from Final Draft that will be rendered by the speech synthesizer using a different voice per character. Alto Studio’s importers have also been updated and it is possible to load projects created with the latest version of your favorite game audio middleware. 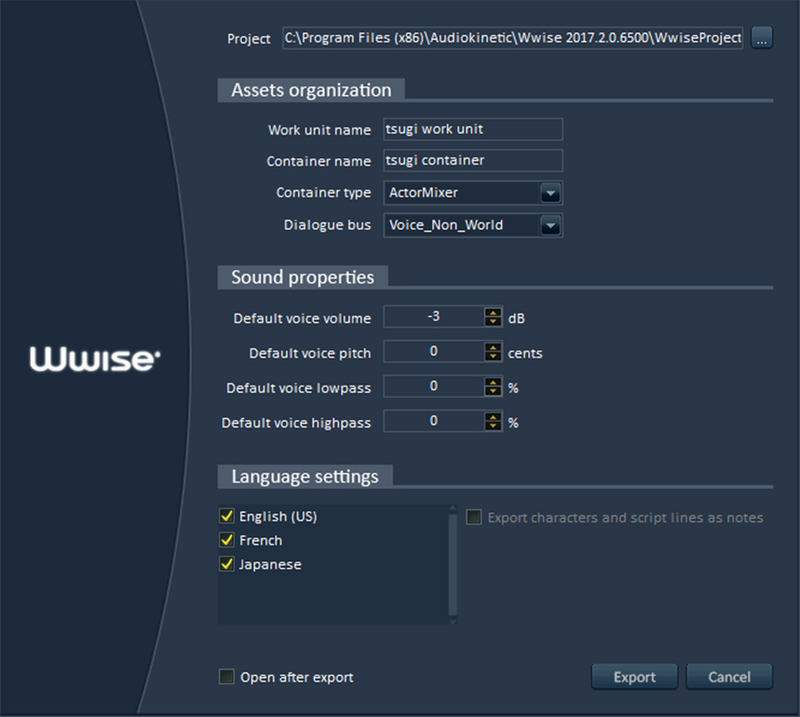 New exporters for Wwise and ADX2 have been added. They make it possible to automatically import wave files, create containers and dialogue events and build banks from Excel sheets in your game audio project. Script lines and character names will appear in the notes. Finally, the generation of reports has been considerably optimized and many workflow improvements also made their way into this new version. Whether you are a voice-over production studio, an independent voice actor, a localization agency or a game studio, Alto Studio will make sure that you meet your deadlines and ship top-quality dialogue! If you are already using Alto Studio, you can download this free update here. Not a user yet? 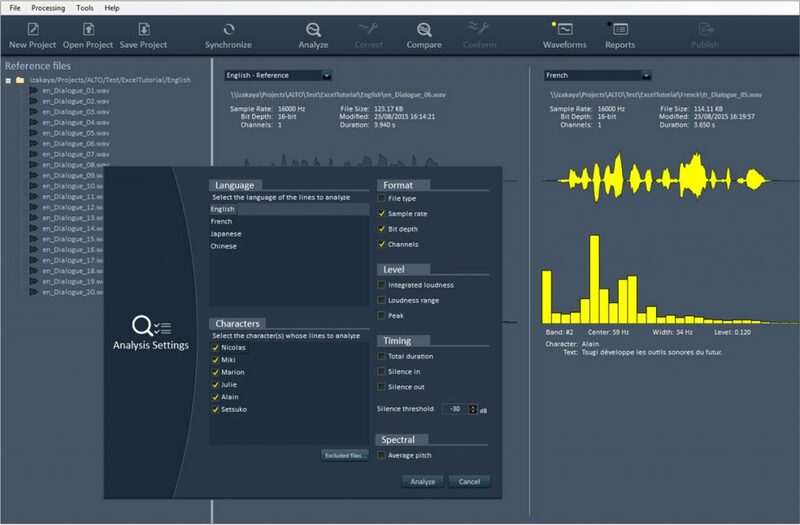 Download the free trial version today and discover how it can help you save time and deliver perfect voice lines. For more information, check the Alto Studio product page and do not hesitate to contact us!